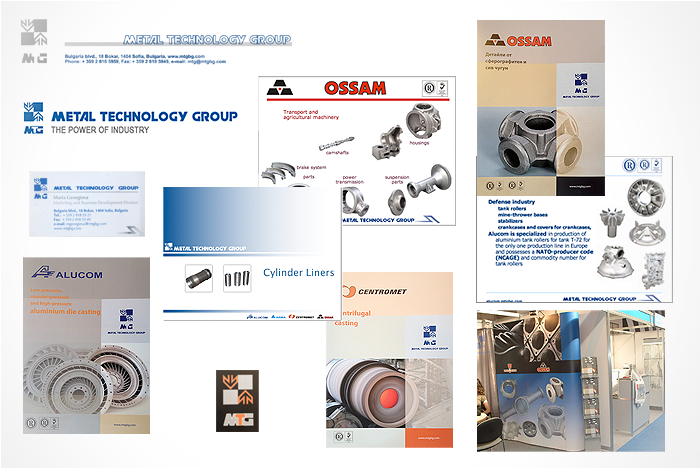 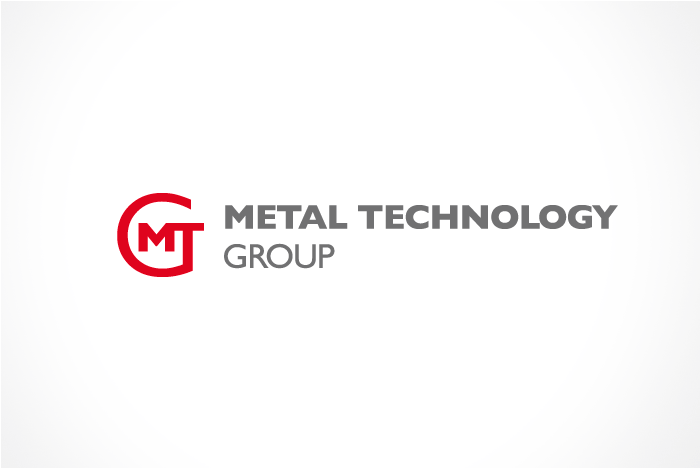 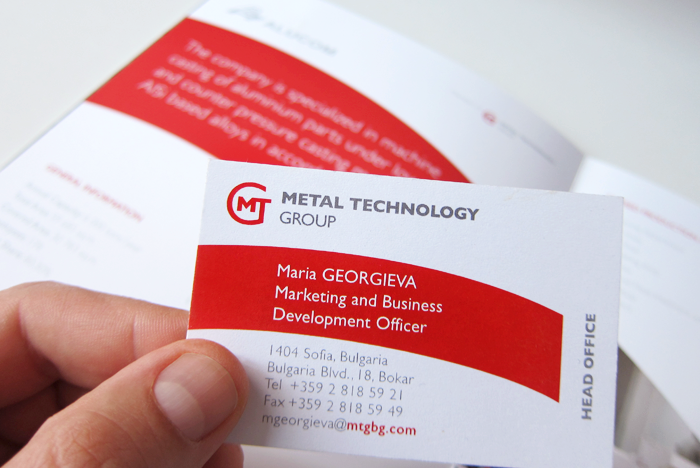 - Metal Tehnology Group - an amalgamation of leading foundries well known for their produce on the Bulgarian and international markets. 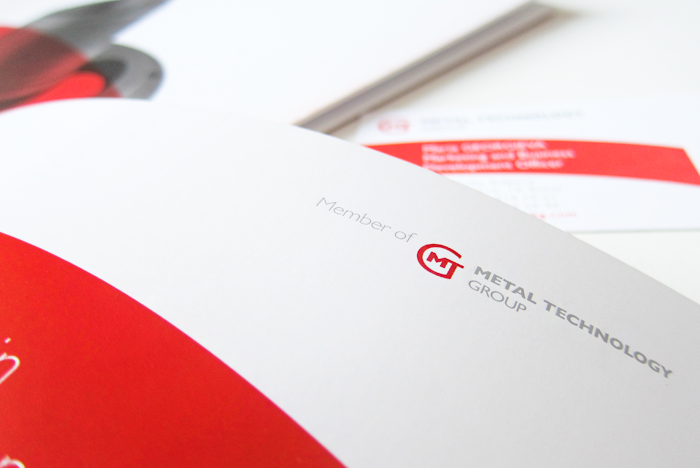 We built an entirely new vision to typify and introduce order and clarity in all corporate graphic elements. 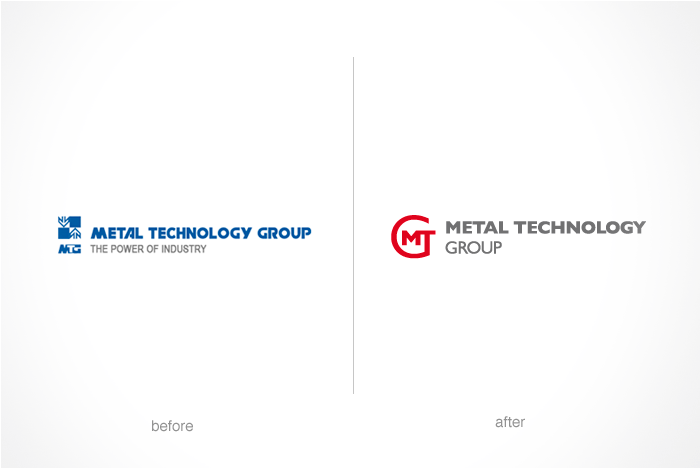 We started by creating a new logo, deciding on a round shape - the items manufactured in the plants are predominantly round. 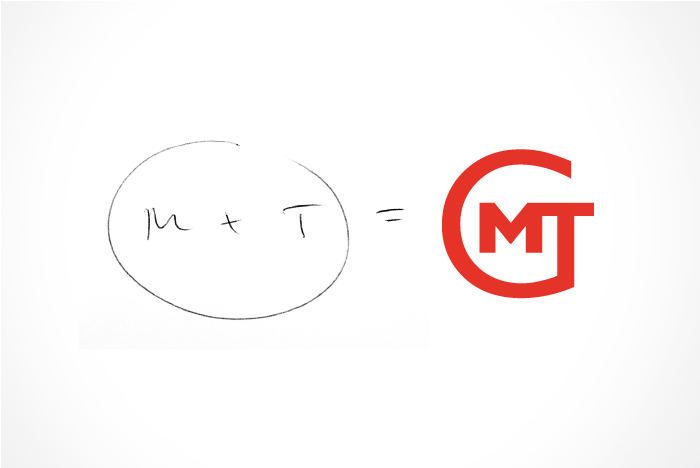 The letter G combines the two other letters MT and, taken alone, creates the analogy of a group. 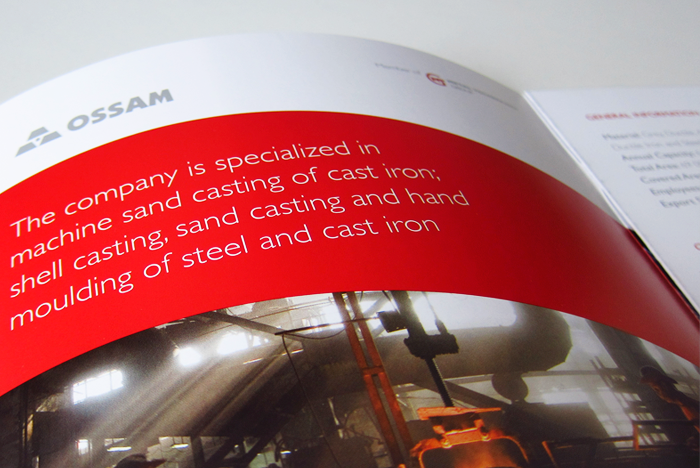 We chose the red colour by association with the molten metal poured in the casts. 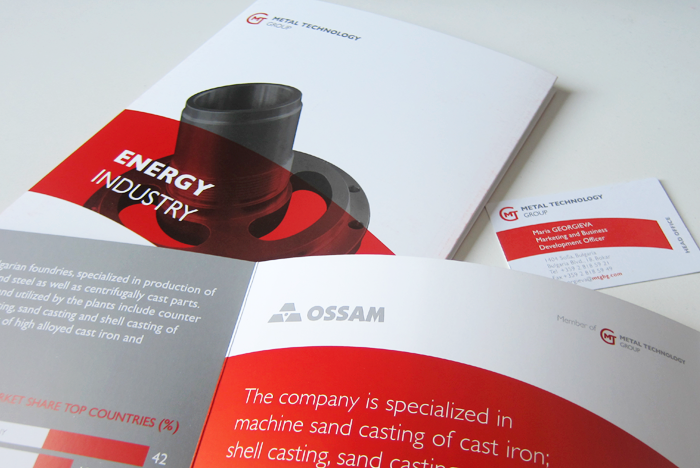 We used in the corporate materials a detail of the logo which we have introduced as a main unifying element. 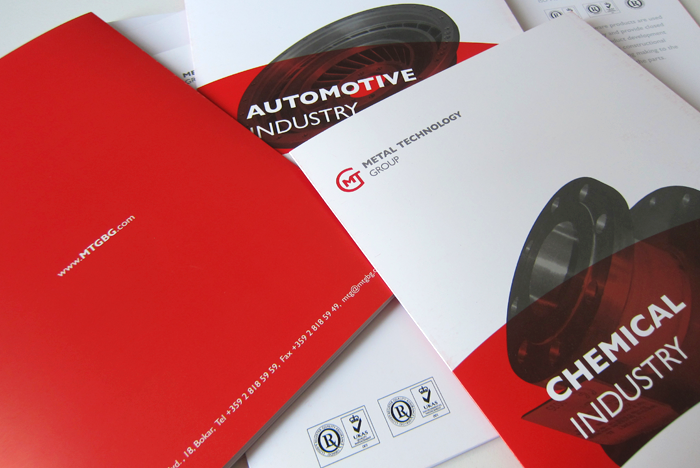 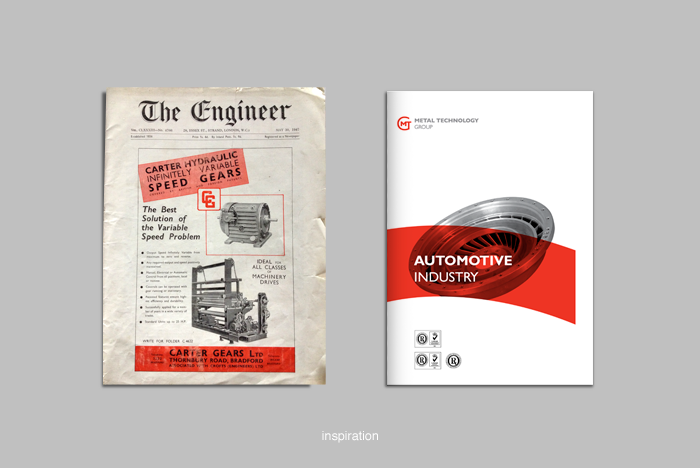 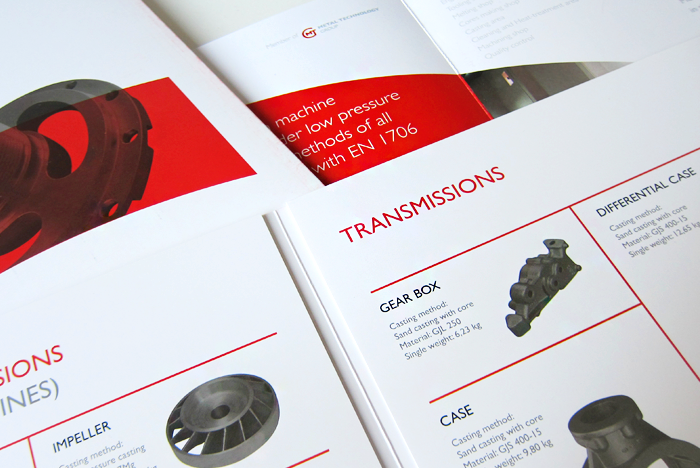 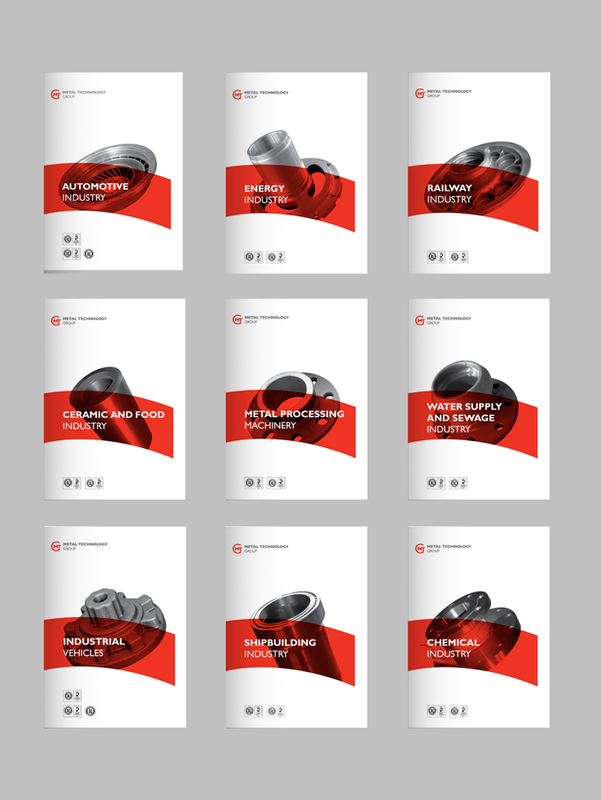 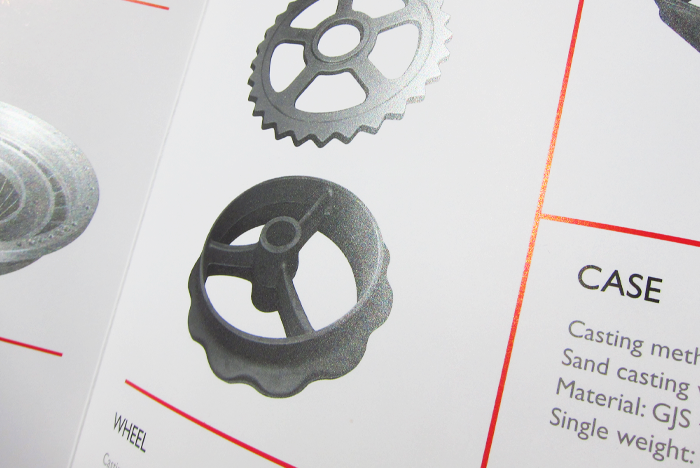 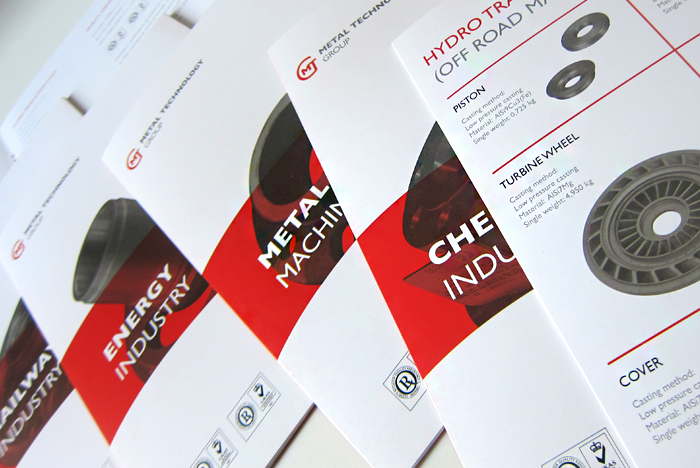 The overall vision of the separate product brochures was inspired by the English industrial magazine The Engineer, in publication since 1856 - black-and-white photographs with red as the only primary colour. 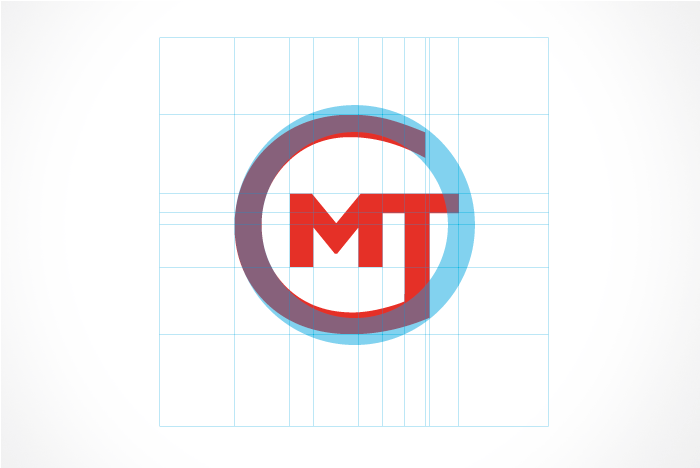 We created a grid enabling arrangement of details of different size and preserving the visual balance. 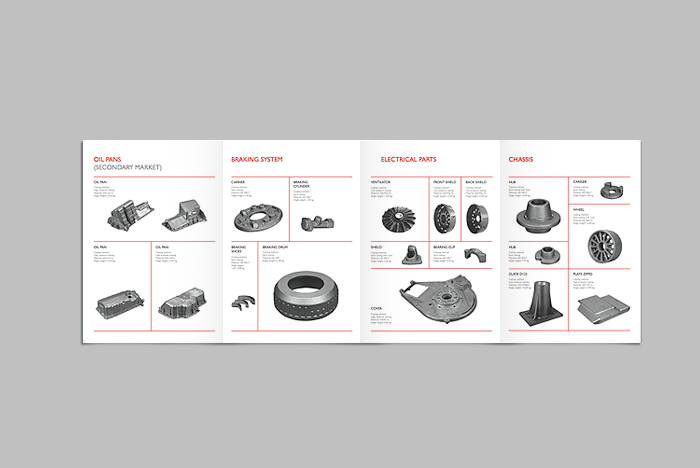 In this way we built the content of the product brochures. 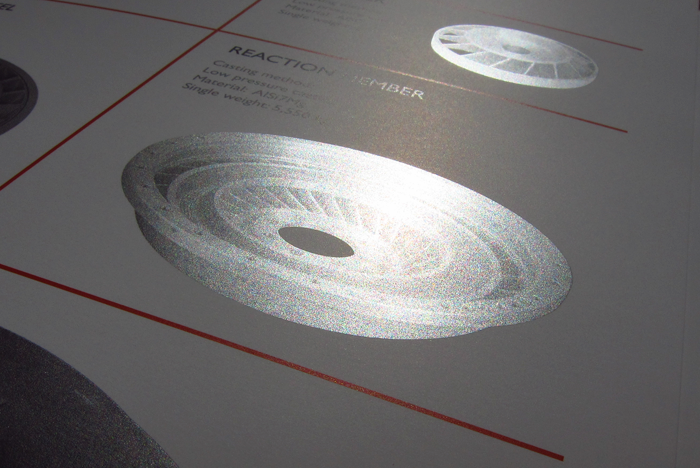 To strengthen the sense of metal castings, we have used silver PANTONE over the photographs of the details in all printed materials.